Beer, bratwurst and…bears? What is the connection? You might be surprised. Bears are attracted to a wide variety of things that we may otherwise find unpalatable; hot tub covers, dirty diapers and last week’s garbage. However, bears certainly don’t draw the line at solid waste and aren’t easily fooled. You may think your missing beer can be blamed on the uninvited creepy uncle that showed up at your last Oktoberfest celebration, but it may have been a brew swilling bruin that discovered the unattended cooler. Yes, bears love beer too. Bears have excellent memories that serve them well when searching for reliable food sources in the wild. Unfortunately, this also means that they will remember, and revisit, sources of non-natural food in urban and recreational areas. Coolers, for instance, may not contain any traces of food to the human eye but a bear will remember the shape of this “food box” and investigate anyways. Even if the contents don’t seem to be an attractant, cans of beer or pop for example, the bear will still chew on these items to see if they could possibly be food. Of course, the bear will quickly learn that the contents ARE edible and quite delicious. 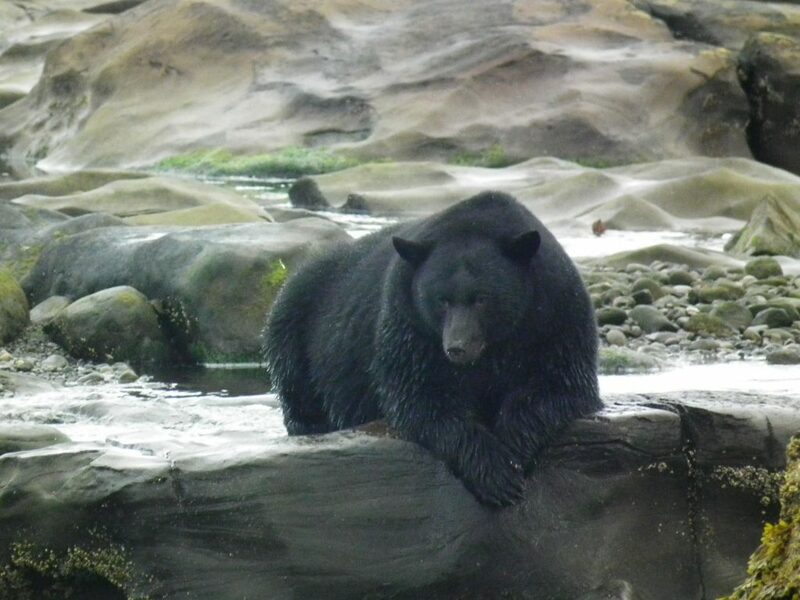 In Baker Lake, WA Fish and Wildlife officers discovered a black bear passed out at the Baker Lake Resort. The reason? The bear had consumed approximately 36 cans of beer by breaking into unsecured coolers. When officers attempted to chase the bear from the campground it ascended a tree and slept for another 4 hours (The Associated Press, 2005). The moral of the story? What we may view as an attractant and what the bear considers food may be very different things. Do not assume closed containers (coolers) of food or unopened beverages are ok to leave outside, it may cause the bear to end up on the wrong side of the law. Do these bears a favour and keep coolers and all food storage/preparation items in the trunk of your vehicle or in a bear-resistant food cache when recreating outdoors or in the house when you are finished with them. Also be sure to rinse and securely store empty beverage cans/bottles in a bear proof enclosure or secure building. So if you see a bear on your neighbour’s lawn with a lampshade on its head you may want to reconsider your beer storage solutions.